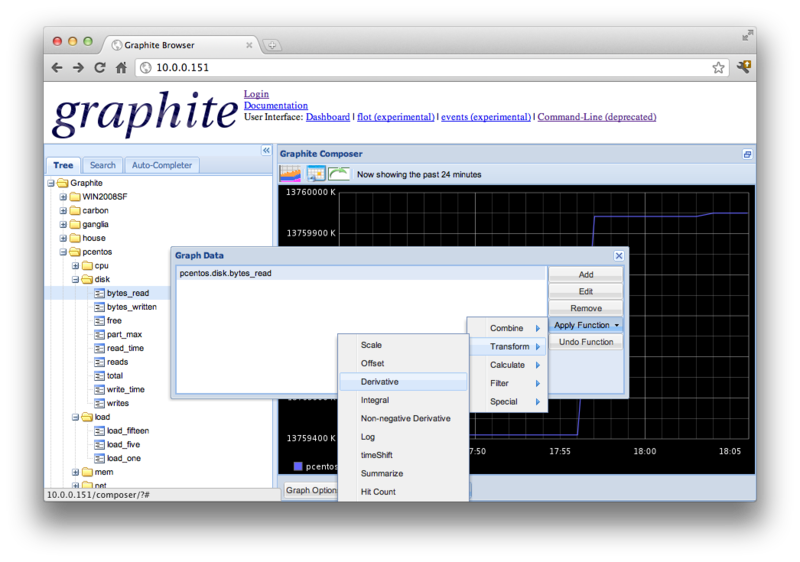 The Graphite realtime charting software provides a flexible way to store and plot time series data. Graphite was originally developed by Orbitz.com, but is now an open source project that is growing in popularity among system administrators. However, while Graphite is very good at recording metrics and building dashboards, it provides no native monitoring capabilities, instead relying on user provided agents to make measurements. The open source Host sFlow agent is an exact complement to Graphite, providing a lightweight, portable agent that exports standard metrics from a wide variety of systems. Deploying Host sFlow agents with a Graphite collector offers a complete, highly scalable monitoring solution. The diagram shows the essential components of the solution. The Host sFlow agents continuously send metrics to the Graphite collector. The sflow2graphite script converts the binary sFlow data into Graphite's text based messages and submits them to the Graphite server. First install sflowtool on the Graphite server. The sflow2graphite script requires sflowtool to receive binary sFlow datagrams and convert them into a text based representation. Next, download the sflow2graphite.pl script from http://sflow2graphite.googlecode.com. Now, configure the Host sFlow agents to send sFlow to the Graphite server. 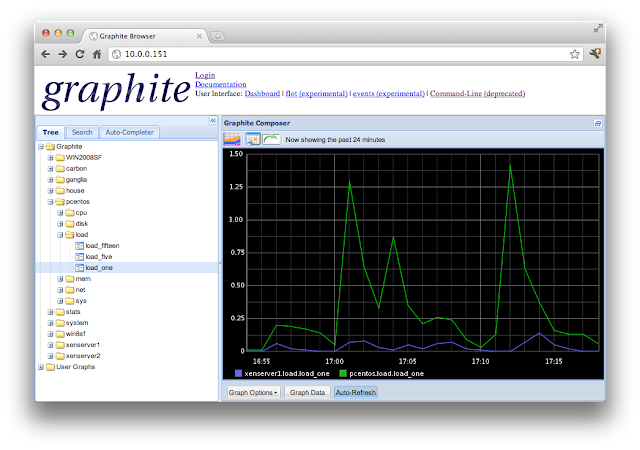 Within minutes, metrics from the hosts should start appearing in Graphite. Note: If you are already collecting sFlow data with another tool, like Ganglia, then you may want to consider forwarding sFlow from the existing collector. Alternatively, you may want to extract the data from the existing collector and feed it into Graphite - in the case of Ganglia there are a number of solutions available. It is worth noting that performance metrics may be gauges or counters. In the case of a gauge (like a system load average), Graphite will automatically display a useful chart. In the case of a counter metric (like total disk bytes read), Graphite will display the increasing total by default. Finally, Graphite uses a hierarchical naming convention for metrics. If the default metrics names generated by the sflow2graphite script doesn't fit your naming hierarchy, simply edit the table of names in the sflow2graphite script to apply your own names. This is amazing but having a few issues. I've managed to get it up and running and can confirm that it's sending packets but for some reason I ain't seeing anything populate in graphite. Any ideas ?